It has been a long time since we updated the website. Last post was around this time last year speaking about COD and how we locked and loaded. Well… COD was definitely a short bus game. A no brainer that was driven to success because BF3 was challenging, the general populace are sheep, and yes… BF3 had its flaws. 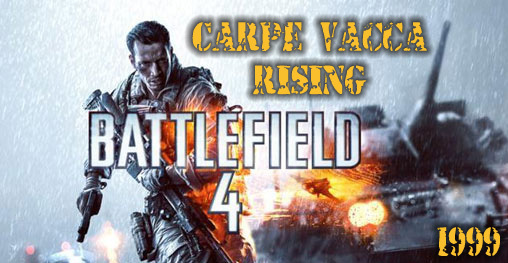 Now we are back with BF4. Which from the BETA (Quite impressive for one) on to the official roll out. Its a lot smoother and expected to be played for a long time. Keeping that in mind many of us, especially Biggs[CV] who is bordering retirement. Having processed his AARP application and is a stones throw away from living the dream in his Lazy Boy blowing up friends online. The regulars are coming out of retirement for this game. 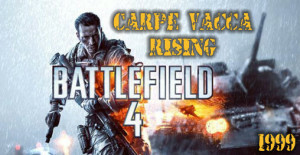 1 Bravo is back having taken time off during BF3 and COD. SpeedNut, Intimidator, VTwin, Trekker, Ibanez, Mamba, Kobra to name a few are making a return. Last few days pubbing have shown this team continues to dominate servers. Don’t know if we will ever get back into official competition but very few people can claim they have played a first person shooter with the same group for over 10 years. Its not wonder we continue to do well and find our way back to one another. Pleasure knowing you guys. Lock and Load!